Okna windows offer Massachusetts home owners the widest variety of style, performance, price, color and options available in the marketplace today. When you're looking for quality vinyl replacement windows, Your Home Exterior Solutions is the place to be. Okna window solutions offer the advantage of having a stainable interior. They can also be installed as a replacement window without disturbing the interior or exterior trim. This saves hundreds of dollars when compared to a full tear-out of the existing windows, casings and sills. Your Home Exterior Solutions has the right window at the right price. We provide a broad range of choices to meet your style and budget needs. Choose from our custom made line of Double-Hung, Casement, Slider, Awning, Bay, Bow, and Garden window styles. We also offer circle top, palladium, and various specialty window styles to choose from with the look of wood and the freedom of no maintenance in a solid vinyl window frame. The SDL (simulated divided light) grid pattern is the purest simulated real wood grid made in a replacement window today. It has the most historically correct appearance with color options you can’t get in most wood and replacement windows. 12 custom exterior window colors along with three interior wood finishes allow flexibility to meet any décor. We offer a variety of window styles and options to meet most price points and all with an AAMA certified installation through the circle of surety guarantee. Need a quote for window replacements? Energy savings in summer and winter for added comfort and lowers your carbon footprint. Ease of clean and operation. Exterior noise pollution is significantly reduced. Eliminates the need for storm windows. Reduces condensation which reduces mold and mildew. Added security from exterior forced entry. Allows homeowner to use more space in home. No more drafts. Keeps you current to the stricter building performance guidelines that qualify for tax credits. Prior to the Energy star guidelines set in 2000, windows did not need to meet any criteria for glass performance other than they had to be thermal pane (two panes of glass). If you have a home that was built prior to the year 2000, your glass is probably not able to pass the Energy Star guideline of U .35 or lower. U or U-Value is how the National Fenestration Rating Council (NFRC) describes glass performance. The lower the U-Value, which is written as a number from 0 to 1, the better the glass is able to stop the transfer of heat in BTU’S per hour, the more "green" and money saving it is for you. You can see these products in your home and get all the facts in person. We are continually evaluating vendors based on quality, availability and pricing so you don't have to. We offer alternatives, usually better and less expensive, to Andersen windows, Harvey windows, NewPro windows, Pella windows, and many more. "I own a condo in the South end of Boston in a mid 1800's row house. I had 2 dormer style windows that needed to be replaced. I had 5 different companies provide a quote for the work. 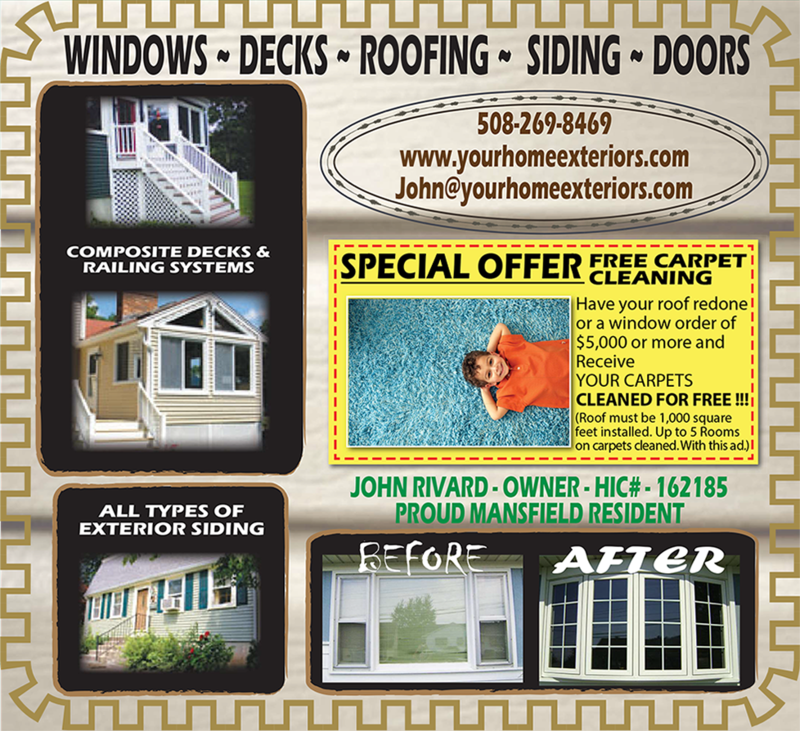 Out of the 5 companies, John of Your Home Exterior Solutions was the most knowledgeable on what needed to be done and his product, his competitors were just sales people trying to sell me windows without really knowing how it should be installed. Everyone wanted to install a window inside of the existing window that was inside of the 1800's window frame. John suggested removing the existing window and installing a window in the old frame and said he would replace all of the rotten trim on the outside. John performed the work around the time he said he would and did all the work in one day. The end result was above and beyond what I had expected and I was so happy that I spent the extra money to remove the existing window completely. I will definitely use Your Home Exterior Solutions again."